The Pueblo Home of Heroes Association is hosting a fund raising Golf Tournament Friday, May 10th in Pueblo at Walking Stick Golf Course and you are invited to participate. 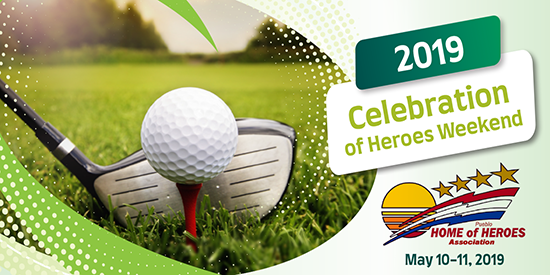 In keeping with other Pueblo Home of Heroes Association events, this 9th annual event will be a memorable tournament that will feature Medal of Honor recipients, active military along with veterans from the Wounded Warriors Program. A highlight of this event is the opportunity to meet and socialize with Medal of Honor recipients participating in this year’s event. Other special guests will be on hand as well. Immediately after the golf tournament there will be a Lunch and Award Ceremony and a special 19th hole reception at the Pueblo Aircraft Museum at 4:00pm with complimentary beer and wine. We sincerely hope you will be a part of this golf tournament in some fashion by either being a major sponsor, player, sponsoring a hole or by sponsoring a returning military to play golf or all of these. With complimentary beer and wine. Friday, May 10th. Must be on course by 8:45 a.m.
Don Gray 719-584-2961 for information. 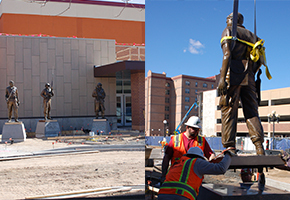 Funds from this tournament will be used to help underwrite the Pueblo Home of Heroes Association JROTC Scholarship Program, which awards scholarships to top cadets in each of the Pueblo High Schools that have JROTC programs.